Several months ago, I shared the heart-breaking story of a precious baby boy named Billy (see HERE), who left this world entirely too soon. 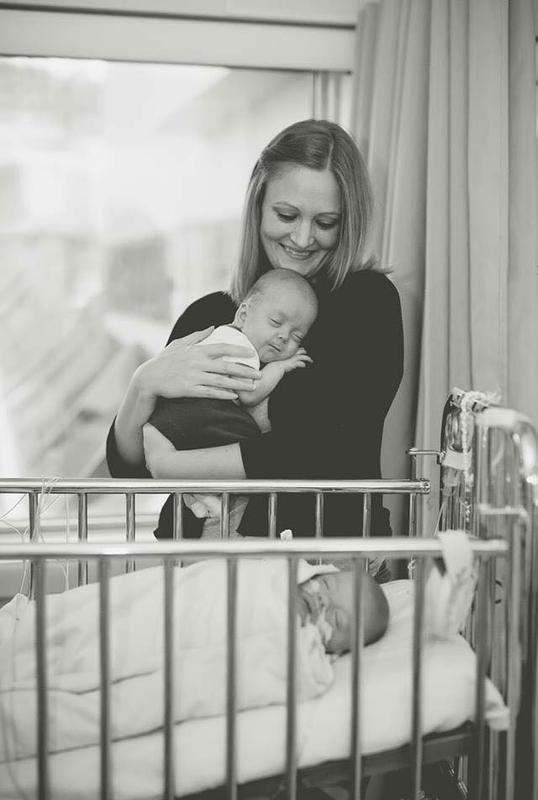 Billy was one of a triplet, and today, his mother, Adina shares the continuation of her story and introduces us to her two boys, Zander and Lyndon. "Some people never get to meet their super heroes. I gave birth to mine." My heroes are my sons, Zander and Lyndon, who were born at 25 weeks + 4 days, weighing in at 1 lb 9 ounces and 1 lb 4 ounces respectively. I met them 6 hours after they were delivered. Both were lying in an isolette, wrapped in plastic and with wires coming out of them everywhere. I wanted more than anything to pick them up, to kiss them and snuggle them. Instead, I stood by their bedsides and cried silent tears, trying to not see all the wires and only see my precious baby boys. They were a dark purple in color, like a plum, and were the tiniest things I had ever seen. My heart longed for them. I wanted to make them all better. I felt so helpless, I didn't even know if I could touch them. Jill and Vicky, the boys' nurses that day were amazing. They gave me space but instinctively knew when I needed answers. I was told that their isolettes were mimicking my uterus - the temperature was set to mid to high 30's and was kept moist. It would be covered for the majority of the time to keep it dark for them. And the wires. Each one just as important as the last. A feeding tube was in their nose, a breathing tube in their mouth. Then from the belly button were two lines that were monitoring blood pressure and flow. On their chest were three white circles that held the leads in place. Leads monitored their heart rate, respiration and pulse. I was terrified seeing all of those lines and tubes. And the beeps coming from the monitors were some of the scariest sounds I've ever heard. I was told to ignore the beeps and unless someone came running then everything was ok, but ignoring those sounds was not easy. I heard them in my sleep for months to come. When I reached inside Lyndon's isolette to touch him for the first time, I was shaking. I didn't want to hurt him and thought for sure I could break him, he was that tiny. His skin was sticky and warm to the touch. His body was covered in a layer of hair. His right eye was fused shut but his left eye was open. His hair was as dark as coal, as was his eye. He was beautiful. Zander felt much the same and seemed to have even more hair covering his body. He had both eyes open and was just as beautiful as his brother. I didn't keep the isolette open for long, I didn't want all of the heat to escape. I sat by their bedsides and stared at them, praying for them to be ok.
On the fifth day of our NICU journey, I was finally able to hold Zander. It took two nurses and an RT to safely get him out of his isolette and onto my chest. Once he was settled and his vitals were good, everyone relaxed and I enjoyed every second of that first snuggle. My heart was so full of love I thought it would burst. It was the best feeling and a moment that I will never forget. Two days later, the boys turned a week old and I got to hold Lyndon for the first time. His little body snuggled up against mine and all was right with the world. Lyndon opened both eyes that day as well! The days turned into weeks and I settled into a routine of daily visits with my boys, arriving by 10:00 am and leaving at 3:30 pm, returning at 8:00 pm until 10:00 pm. I was pumping every three hours as well, trying to produce enough milk to sustain them both. It was a very tiring time, both mentally and physically. 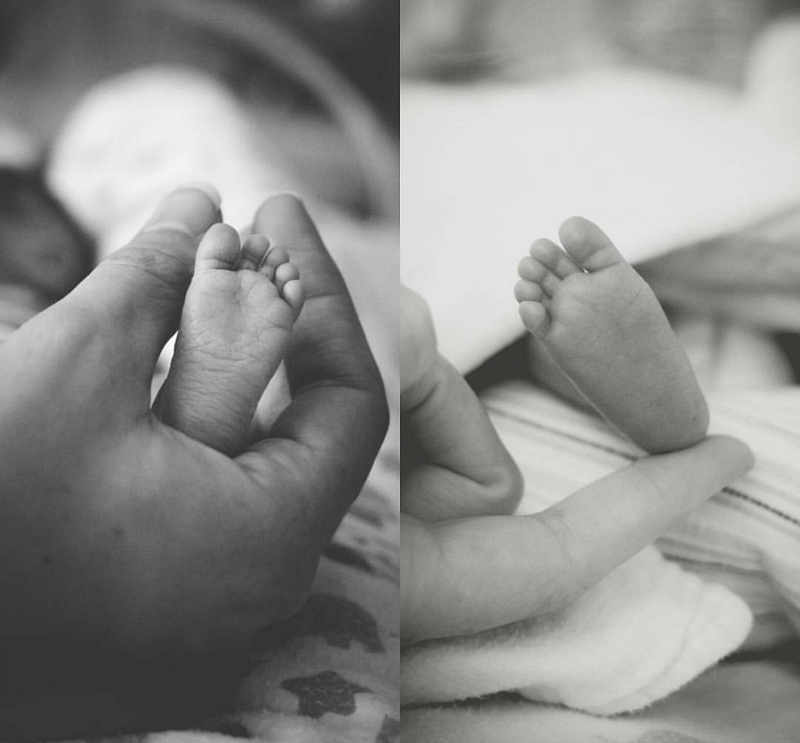 The stress of having a child in the NICU is overwhelming, the stress of having two in there was overpowering. Guilt always found a way to creep in as I sat with one boy and not the other. I hated when other families were around and would peer in over my shoulder, making comments like "He's so tiny!" I wanted to protect them from everyone and everything. Zander had trouble figuring out how to breathe on his own. He relied a lot on his ventilator, and he turned blue several times. It was very hard on the nerves. After several tests, it was discovered that he had an open duct in his heart, a PDA, causing moisture in his lungs and making it difficult for him to breathe. He started a round of medication to help close the duct. By the end of his medication the duct hadn't fully closed and he still struggled with "riding the vent". Lyndon was holding his own, gaining weight and growing. He was even showing signs of no longer needing to be intubated. And then, at 28 days old, right before my eyes my baby boy began to fade away. He had received a blood transfusion that morning but instead of pinking up he was turning a greenish-grey colour. X-rays were ordered, and then the surgeon was called. Even though no one told me right away, I knew something was seriously wrong. The surgeon came to Lyndon's bedside where I sat holding his hand and singing to him, and told me that Lyndon had a very serious bowel infection called Necrotizing Enterocolitis. His bowels had perforated and the contents were leaking into his bloodstream, poisoning him. He needed a drain surgically inserted into his bowel to drain the contents out of his body, and he needed it ASAP. I couldn't understand what was happening. He was fine the night before! He was smiling and being his feisty little self. How was he so sick that he needed surgery now? What happened? He was still so tiny, how was he going to make it through the surgery?! I sat with him right up until it was time for him to go to the OR. I memorized every little feature of his face and his body. I held his hand. I sang "You are my Sunshine" to him over and over. I told him how much I loved him and how proud of him I was for being so brave and strong. I didn't want to leave him. I feared I wouldn't see him alive again if I left. But eventually I had to let go, and I left my baby boy in the loving hands of his NICU team. I was told afterwards that Lyndon was too weak to even make it to the OR, and the surgery was performed at his bedside. I was also told that he would require a second surgery to repair his diseased bowel, but he would need to be a lot stronger before that could be attempted. As we waited for Lyndon to grow stronger, it seemed like everything started to go wrong. His gases were all over the place and he was placed on an oscillating ventilator to help regulate the levels. His little body began to swell and soon he was swollen beyond recognition. His skin had turned very yellow. He was being poked around the clock, constantly needing blood-work done, trying to determine the cause of all the swelling. He received transfusions of blood, albumin and platelets on several occasions over his stay in the NICU. Zander's PDA opened up again at 34 days and he began a diuretic to help him lose the extra moisture. Both boys underwent spinal taps. Zander's was fine, however Lyndon's wasn't and he was treated for meningitis. Antibiotics became Lyndon's new best friend. I was feeling more helpless than ever. There was absolutely nothing I could do to help my babies. I wanted so desperately to protect them and I had no idea how. Lyndon continued to retain fluid. It seemed everyone was at a loss as to why until one day an ultrasound of his long term i.v. (PICC Line) showed that blood clots had developed. He was started on a blood thinner to help shrink the clots. I prayed that this would be the answer he needed and that all would be resolved, but instead things got worse. Before the blood thinner had a chance to do its job, Lyndon developed a brain bleed. It was a grade one bleed that eventually resolved on its own. 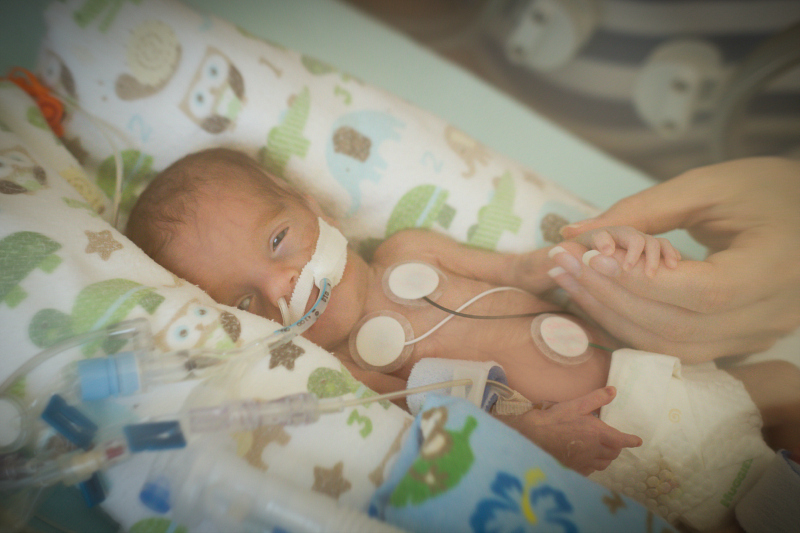 Zander was extubated towards the end of July, and was put on a CPAP machine. After 44 days, Zander's cry was finally heard. It was like music to my ears! Zander continued to do well while Lyndon fought with everything he had in him to keep going. And then they were separated. My heart felt like it was ripped from my chest. As hard as it was being in the unit, as guilty as I felt sitting with one boy at a time, I was put at ease with a simple glance towards the baby I wasn't sitting with. But now they would be in completely different rooms on opposite ends of the NICU. I was devastated. I tried to be fair and spend equal time with each of them and I alternated who I would go see first, but my mind was always with the other boy on some level and it hurt beyond measure. I hated not being able to be with them both. Lyndon went for his second surgery on August 28. He lost 17 cm of his bowel in total, but finally the road to recovery and getting my boys home was in sight. He was extubated at 92 days old, and hearing his little cry made my heart soar. I never thought we would get to this point. The universe, it seemed, had other plans for my sweet Lyndon though. He developed a fistula and again we waited for another surgery. To say I was frustrated at this point was an understatement. I was beyond mad at the world. Why couldn't Lyndon catch a break? My heart was broken watching him go through all of this. All the needle pricks, all the attempts for cbc's because his blood kept clotting. The attempt at arterial lines that always failed. I wanted it all to stop. I wanted to take my baby and shield him from everyone. I cried to break my heart seeing him lying there so still, so physically exhausted, drained. On October 18, Zander was discharged. What should have been a day of excitement was a day of such mixed emotions that I barely remember it. I felt like the worst mom in the world for taking just one baby home. I was so riddled with guilt for leaving Lyndon behind, leaving him all alone, that at times I couldn't breathe. This was most certainly not the way it was supposed to feel bringing your child home for the first time. Nothing about our situation seemed fair. Zander came along with me now, every day, back and forth to the NICU to visit his brother. For the third time since June, we made an extremely hard situation work. The amazing nurses who snuggled Zander so I could snuggle Lyndon are a large part of the reason why it worked. The weeks leading up to Lyndon's surgery proved to be just as stressful as the previous weeks. Lyndon had developed an extreme case of jaundice - his bilirubin was almost 400, when a normal level is 0. He also had a severe calcium deficiency. Every long bone in his body was fractured, along with three compression breaks in his spine. Lyndon showed so much strength throughout all of this. He barely cried. I got through the days because of him. He was my rock when I should have been his. On November 2, Lyndon had his final bowel surgery. His feeds began shortly after. It took some figuring out to ensure he got all of the nutrients and calories he needed, but Lyndon soon began to show signs of improvement. He had so many people rooting for him, loving him, supporting him. On Dec 21, Lyndon was moved from the NICU to the fourth floor, and after a brief stint in the PICU due to an infection, Lyndon was finally discharged! On January 6, after 208 days, our family went home. All of us. 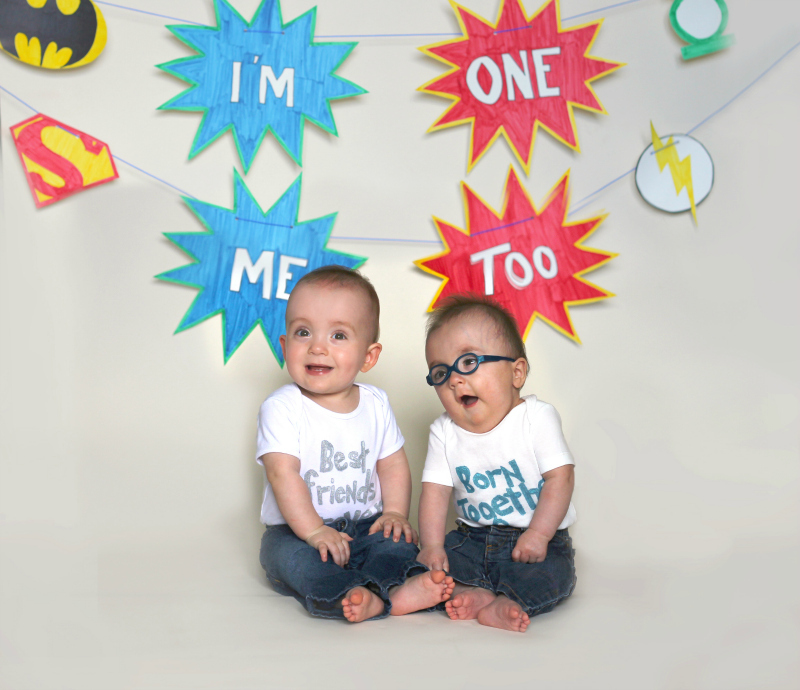 The boys celebrated their first birthday on June 12, 2016! Since coming home, Zander has had follow-up appointments with cardiology and we are happy to say his PDA is barely open. He is now a very happy, mischievous and healthy 16 month old! Lyndon was diagnosed with Cerebral Palsy back in May. He has overcome so much in his short life already. I watch how hard he works and the determination he has, and my heart is full of hope for his future. Adina, thank you for allowing me to share your story! It has been a pleasure getting to know you and your family, and I look forward to watching your beautiful boys grow! Remember, I am here if you need anything! 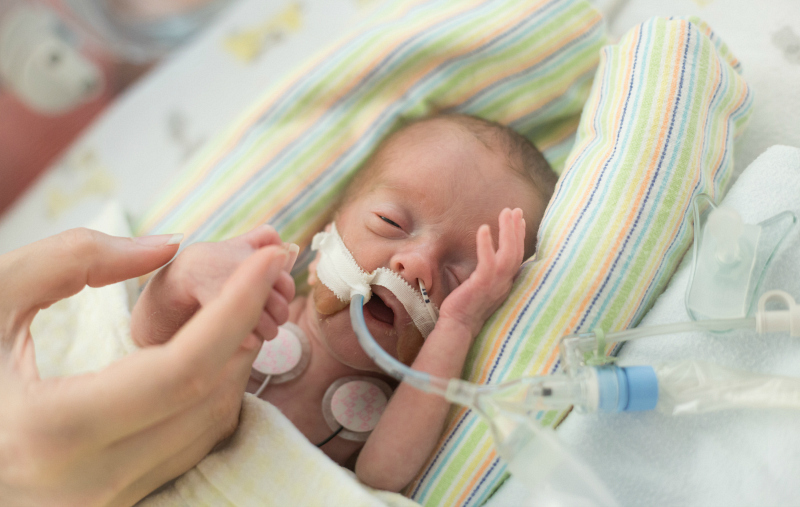 November is Prematurity Awareness Month, with World Prematurity Day being on November 17th. One in 12 babies in Newfoundland and Labrador is born prematurely, and globally more than 15 million babies are born too soon. 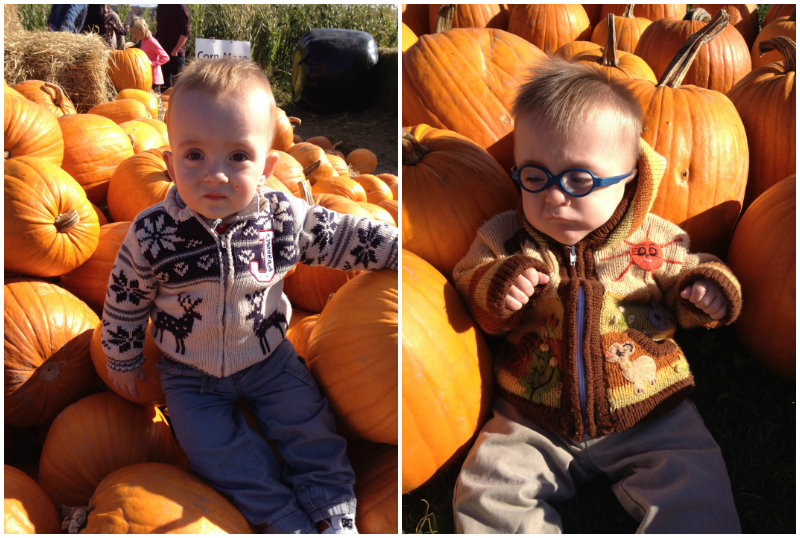 On November 20th, there will be a 'Wee-Ones Walk' at the Janeway to recognize and celebrate these precious little babies. I hope to see many of our friends there!